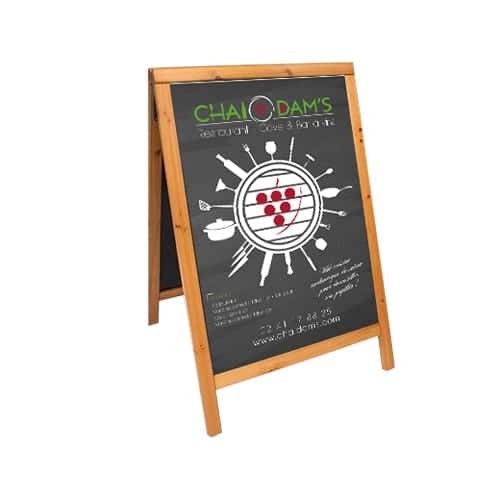 This easel doubles face Ardoiz' In with a face carry poster and a face slate, silk-screened with an ink slate, is designed for a writing with a felt-tip erasable chalk by means of a wet cloth. His double function offers a visibility optimum in front of your shop, your company or in a center commercial. This stop sidewalk realized in composite of aluminum and aluminum resists the wind up to 37 kph. The uncluttered design of it stop pavement is resolutely modern. This panel stop pavement becomes integrated into its environment. 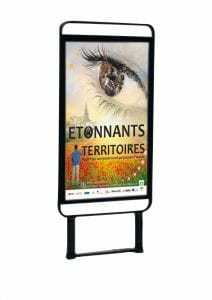 This outside easel has a location for a poster 40 x 60 cms on a face (design schedules to measure in your image). Endowed with a handful of transport, it stop pavement is easy to move. Foldable, this easel pavement lines up easily upright. The only easel slate on it worked Which allies writing and display. 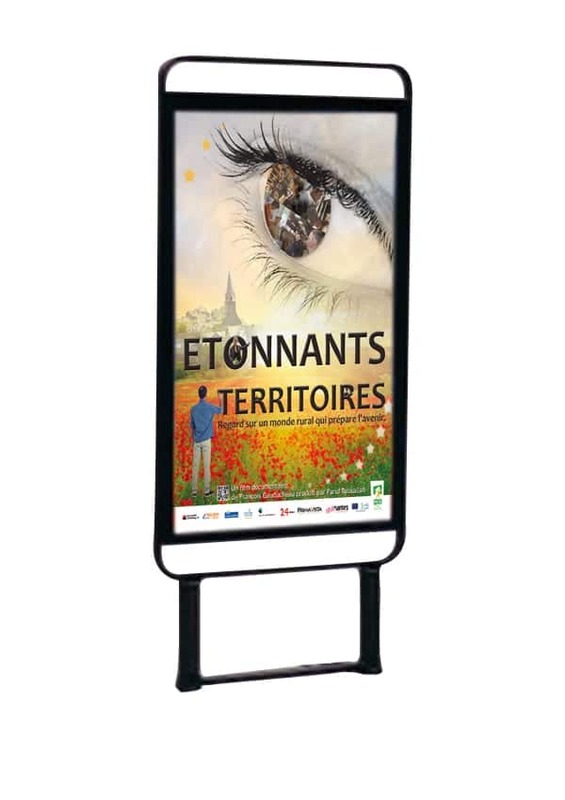 Example of realization for the MFR stop pavement with poster double face (size: 100x70cm quadri / anti-UV protection) - Graphic creation and printing. Share the post "Stop sidewalk"